Hahhhhhhhhhha. 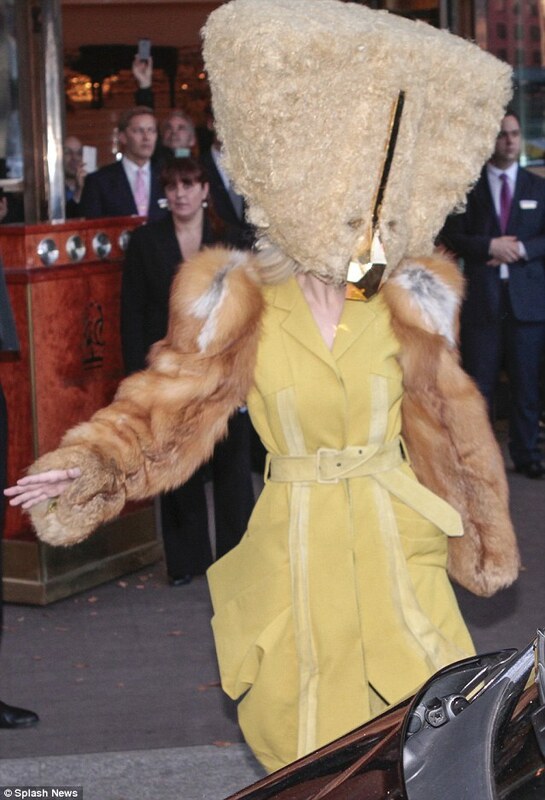 Lady Gaga sure enjoys attention lol. 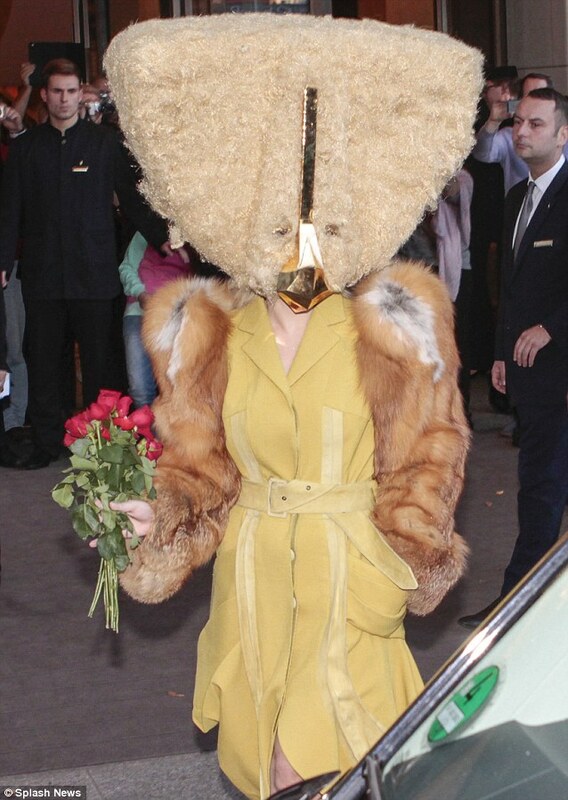 The singer left her hotel in Berlin wearing a giant triangular mask, covered in fur, and featuring a golden beak from Charlie Le Mindu Fall 2013 Haute Coiffure collection. Wearing a John Galliano structured coat with asymmetric tiered folds and voluminous fur sleeves, from his Fall 2003 collection, she waved her hands after being greeted by fans. Na wa 4 this costume ooo.